Much to my surprise, the Monday after we moved back home from the Great Thompson Flood debacle I had a package waiting for me AND my October issue of Southern Living in the mail box. Double Bonus. My package was an amazing spa basket sent as a thank you gift for hosting Gwen's baby shower. What a thoughtful thank you. I put all those products to use right away. What could be better than a spa night and flipping through the latest issue of SL while having my back massaged (we have a machine from Brookstone). Also something fun going on in our household is Date Your Mate. A super fun series that Kristin over at Windy Populars is featuring. Each week she posts great ways to date your husband and show him how much he means to you. 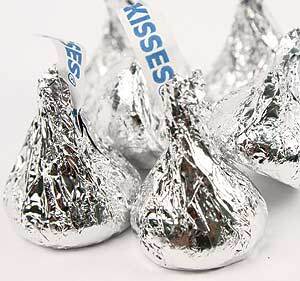 Yesterday's idea was to hide Hersey kisses all over the house, and the more your husband finds the better his date would get. Josh would be returning from a business trip, so I sent him an email to prepare him for the task. 21-25 Dinner, Dessert, Massage, and ??? This man was on a mission. I thought when he got home last night from a long day of meetings and flights he would jump on the computer and then flip on Fox News. Not at all, he scoured the house for kisses, and was very proud of all his findings. I do still have a few hidden in tricky spots. I can't tell you how much I'm enjoying these creative ways for us to do neat things for each other, it's so fun! Thanks Kristin!